Here at SWD, we are committed to supplying the highest quality home improvement products to all. We want our towns and communities throughout Essex to offer the highest levels of security and energy efficiency. Helping to reduce crime and lower our collective carbon footprint. 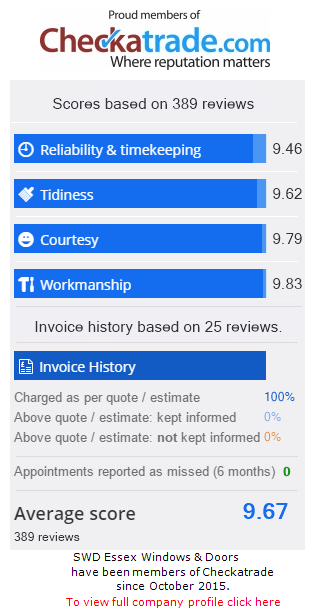 For this reason, we consistently run several special offers to help Essex residents equip their homes with the best windows and doors on the current market. On this page you will find information regarding our latest deals. If you would like any further information regarding any of our offers, please do not hesitate to get in touch with one of our team members on 01268 281400. Alternatively, you can get in touch via our contact form. Terms and conditions apply to all the above offers. Please contact SWD for further details.